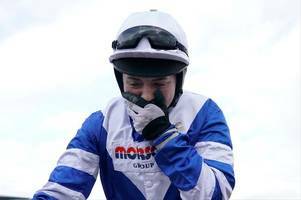 Jockey Bryony Frost will miss next month's Grand National meeting after breaking her collarbone in a fall four days after her victory at the Cheltenham Festival, the 23-year-old said on Thursday. 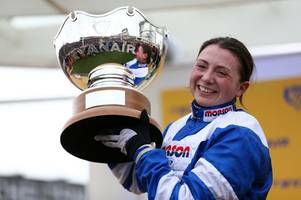 Bryony Frost will miss next month's Grand National meeting after it emerged she broke her collarbone in a fall just four days after making history at the Cheltenham Festival. 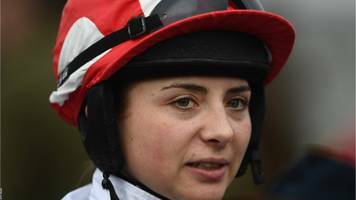 Jockey Bryony Frost, one of the stars of last week's Cheltenham Festival, will see a shoulder specialist after a fall at Southwell racecourse on Monday. 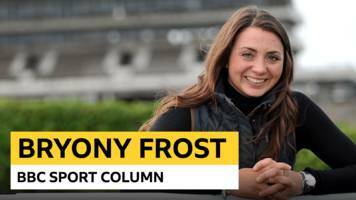 In her second BBC Sport column, jockey Bryony Frost talks through her historic victory at Cheltenham - and how she celebrated at a motorway service station. 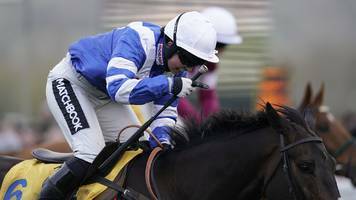 BRYONY FROST, who has enjoyed a stellar week at the Cheltenham Festival, may not have finished winning yet. 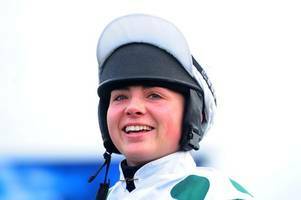 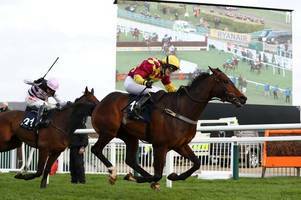 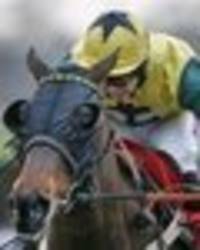 Women jockeys impressed at this week's Cheltenham Festival, claiming four wins including an unprecedented two in top-level Grade One races, highlighted by Bryony Frost's breakthrough triumph on Frodon. 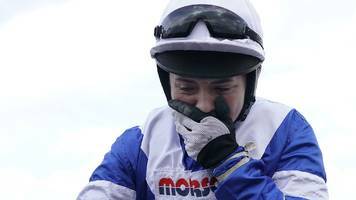 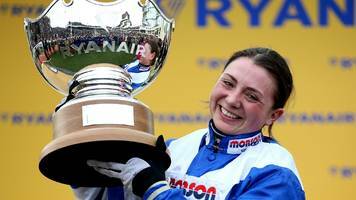 Bryony Frost shed tears of joy when she became the first woman to ride a top-level Grade One Cheltenham Festival winner aboard Frodon in the Ryanair Chase on Thursday. 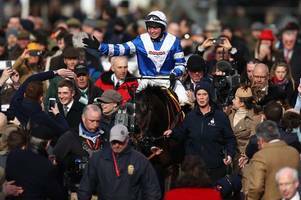 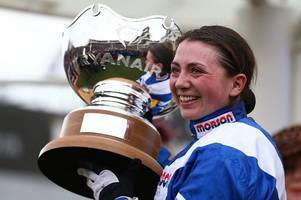 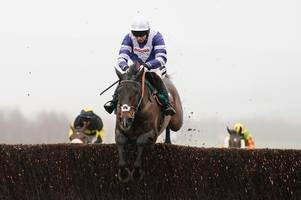 Frost made history of her own by becoming the first female jockey to win a Grade 1 race at the Festival when she produced a stunning performance to see well-fancied 9/2 Paul Nicholls-trained Frodon..
BBC Local News: Gloucestershire -- Bryony Frost creates Cheltenham Festival history as she guides Frodon to Grade One victory in the Ryanair Chase.